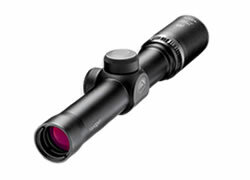 Hinterland Outfitters carries a large selection of scopes for sale and other optics from all the major manufacturers. We have scopes for all purposes including optics for hunting, bird watching, competitive shooting, law enforcement, golfers, shooting sports, personal protection, and much more. 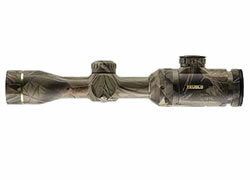 Modern scopes allow for superior performance and reliability. Safeguarding outstanding views is a priority for all hunters, especially when the environment is not cooperating. When it comes to scopes, you definitely get what you pay for! There are three main factors that determine the overall quality of a scope: the optical glass, construction and lens coating. 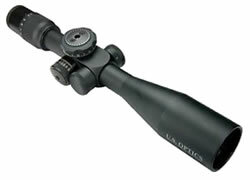 Quality scopes use dense optical glass that is painstakingly designed, shaped and polished to eliminate flaws. When a scope features more sophisticated optical design techniques and glass, the results are better images. The quality of the optical glass will make a difference in how bright, sharp and colorful a view will be. Standard glass will provide an overall good image quality, while an extra low dispersion glass will achieve the highest possible image resolution, contrast and color accuracy/balance. Manufacturers will often have their own terminology for these properties such as HD (High Density or High Definition), ED (Extra-Low Dispersion) and XD (Extra-Low Dispersion). Paying for a higher quality scope translates into higher quality materials, more sophisticated designs and stricter production and design tolerances. All of this adds up to provide greater reliability and functionality in the field. Many scopes are waterproof and fog-proof, being sealed with 0-rings to inhibit moisture, dust and debris from entering the housing of the scope body. The housing body is then filled with atmospheric air and an inert gas that has no moisture content, which prevents internal fogging from humidity and altitude changes. Nitrogen gas purging delivers fog-proof and waterproof performance. Argon gas purging guarantees superior fog-proof and waterproof performance. Fully multi-coated optics: Have all air-to-glass surfaces coated with multiple anti-reflective coating films and offer the highest image quality. Fully-coated optics: Have all air-to-glass surfaces coated with an anti-reflective coating film. Multi-coated optics: Have one or more surfaces coated with multiple anti-reflective coating films. Coated optics: Have one or more surfaces coated with one or more anti-reflective coating films. Anti-reflective coating is needed on scopes and other optics because it increases the amount of light that passes through the optical system so more light gets to your eye. Without lens coatings, almost 50 percent of the light could be lost as it passes through the multiple air-to-glass surfaces of a standard binocular, spotting scope or rifle scope. Hunters, shooters, and sportsmen alike will be astounded by the bright, clear, precise picture in these modern rugged revolutionary optics. Seeing is believing. One of the most convenient and useful pieces of optical equipment to have in the outdoors is an excellent pair of binoculars. Whether you are out hiking, hunting, or viewing wildlife, binoculars can bring the outdoors a little nearer to you. Binoculars are the most prevalent optic on the market. Hunting with binoculars is instrumental if you want to improve your odds, whether it’s in an in a tree stand calling wild turkeys, or stalking large prey. Versatile, beneficial, light-weight, and easy to carry, binoculars are always going to be an advantageous piece of gear. Binoculars come in two principle types of prisms: Roof and Porro. Prisms are used to correct the orientation of the view horizontally and vertically so the scene looks natural; without a prism, binoculars would make things look upside down and backward. Roof prism binoculars have glass elements that are in line with one another, making the binocular more streamline and easier to hold. Porro binoculars utilize glass that is offset from one another, providing a greater depth of field and wider field of view compared to roof prism binoculars. Porro prism binoculars are typically cheaper to produce compared to roof prism binoculars which will allow you to get a higher quality glass and larger objective size for about the same price as a comparable roof prism binocular. Binoculars come in three main sizes: compact binoculars, mid-size binoculars and full-size binoculars. Modern day binoculars host an array of options and features to sort through, such as the binocular magnification, chassis material, binocular objective lens, binocular exit pupil, eye relief, lens brightness and coating and much more. Finding the right binoculars for your needs can be overwhelming. 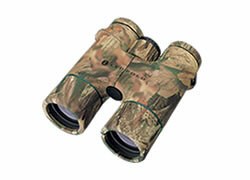 Hinterland Outfitters is here to help you decide the best binoculars to fit your needs and budget. 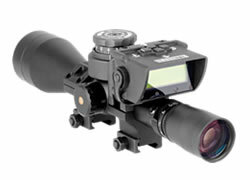 Among the most popular optics for shooters are scopes. 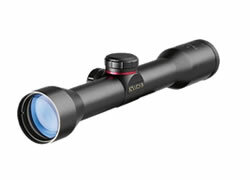 We carry a wide range of scopes to help with anything from your next hunting adventure to target shooting at the range. We specialize in hunting scopes, self-defense/CQB scopes, long range scopes, tactical scopes, bow hunting scopes and much more. There are many different types of optics that fall into the scope category, with each type designed for a particular application and purpose. 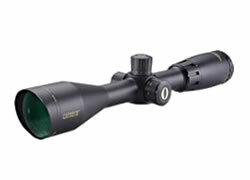 We carry every type of scope available in the optics market from all of the major brands at discounted prices. We offer a few of the best scopes available for air rifles; ranging in price from just under $60 up to $100, air rifle scopes can help with everything from adjusting to parallax to targeting from a distance. 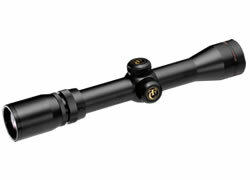 One of the most important things to keep in mind when choosing a scope for an air rifle is that air rifle scopes are unique; rather than traditional rifle scopes, air rifle scopes are designed to accommodate for the additional recoil of an air rifle. Black powder scopes, or muzzleloader scopes, are scopes designed for firearms where both the projectile and charge are loaded from the muzzle of the gun. Again, it’s important to note that all scopes are not created equal — a big distinction with black powder scopes as opposed to normal rifle or shotgun scopes is that the parallax is at 50 yards, while high-powered rifles might have the parallax set for 100 yards. Most black power scopes are compact in size, have variable magnifications between 2-10x power with objectives around 32mm-40mm. Black powder scopes are the most simplistic compared to all of the other rifle designed scopes on the market. Crossbow hunting is increasingly popular, and while a top-notch crossbow is a key prerequisite for hunters, a top-of-the-line crossbow scope is equally as important. Crossbow hunters can select from affordable red dot crossbow scopes to high-end tube scopes that offer 3x magnification and a range of up to 60 yards. Adding the right scope to your handgun can make all the difference, from target shooting to pistol hunting. Pistol scopes are particularly unique, as the placement of the scope in relation to the shooter’s eye is considerably different, and using a scope on a handgun is drastically different without the support given to a larger firearm like a rifle or shotgun. 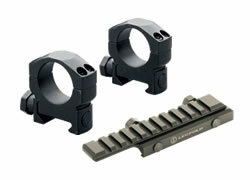 Pistol scopes are very popular with target shooters, hunters and competition shooters. They’re also great for tactical applications and military and law enforcement, since they allow for quick acquisition shooting. Many pistol scopes will come as a red dot type of optic, allowing for reticle illumination in low light. Our selection of pistol scopes includes some of the best handgun optics on the market, and range from entry level handgun scopes that start at just over $50 ranging all the way to premier pieces that include multi-coated lenses and dramatically reduced glare while increasing accuracy and precision. 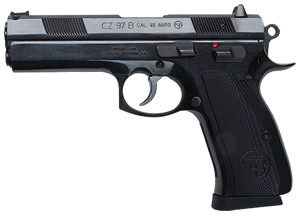 Our experts are here to help you pick out the right pistol optic to fit your needs and budget. 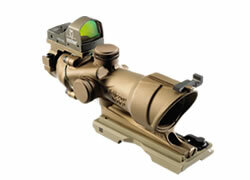 Red dot scopes are non-magnifying optics that provide the user an aimpoint, which is typically a red dot. Red dot scopes use a light emitting diode (LED) at the focus of a collimating optic which generates an illuminated dot style reticle which aligns with the weapon it’s attached to. Red dot scopes are designed for quick acquisition targeting and allow the shooter to get on target quickly and effectively. These type of optics are also designed to be used either with both eyes or one eye open, always making it easier to engage targets. Red dot scopes come in many shapes and sizes, but the two most common are holographic open red dot sights and the scope-body red dot sights. Both have their advantages and disadvantages. Open red dot sights are simply reflector sights that offer the advantage of the aimpoint and have a flat base that sits atop the gun barrel and supports the reflective optic. Red dots get their name because the majority of their reticles come in illuminated red, but many are also offered in green and amber. Red dot sights are used by the military, law enforcement, self-defense, target shooters, competitive shooters and on concealment carry pistols. The red dot sight is the most common scope that is used on the popular AR-15. Red dot scopes come in all shapes and sizes. When it comes to these scopes you get what you pay for. We offer a wide selection of red dot scopes from every major brand in the industry. Visit our red dot scopes page to learn more about the considerations behind choosing the right scope for your rifle. The rifle scope is perhaps one of the most sophisticated types of optics. The rifle scope is a sighting device that helps the shooter aim the bore of the firearm at a certain point down-range where the projectile will make contact with the target. The scope must be adjusted for elevation and wind, and also needs to be focused so the operator can see the target clearly. Rifle scopes are capable of helping shooters make shots out to great distances while managing bullet trajectory such as gravity, air resistance, velocity and mass. The rifle scope is a precision instrument with many fine and delicate parts. Getting a high quality scope is as important as choosing the rifle you’re putting it on. Rifle scopes have radically changed over the years with many new innovations being employed to help the shooter effectively and precisely hit targets at greater distances. Our selection of rifle scopes ranges from tactical rifles, to hunting rifles, to long range/precision sights. With over 30 different brands to choose from, we carry scopes from the biggest brands, like Leupold, Nikon, Bushnell, and more. Visit our rifle scopes page to learn more about the considerations behind choosing the right scope for your rifle. Like rifle scopes, shotgun scopes are ideal for everything from tactical shotguns to hunting and more. However, like all scopes, shotgun scopes need to be chosen with care to account for the difference in recoil, range, and parallax. Spotting scopes improve a shooter’s vision by offering an incredible range of distance and magnification. These spotting scopes typically offer more stability than just binoculars, yet have a telescopic range that can be used for hunting, surveillance and ranging, or verifying shots from a long distance for target shooters. 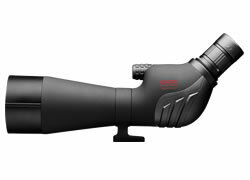 Any serious shooter will want a high quality spotting scope to bring to the range. The device is a compact integrated ballistics computer which gets attached to the scope and will read what you dial into it. Once you mount it on your scope, it is straight forward and easy to use. First, you zero at 100 yards and input information such as determine range, select cartridge, target size, measure target using elevation; once you enter that information, the computer will tell you the exact target range in yards. Additionally, the computer will also tell you if you are level (canted), as well as barometric pressure and temperature. Night & thermal vision technology has seen a growth in demand over the last decade, and has greatly improved in clarity and affordability. 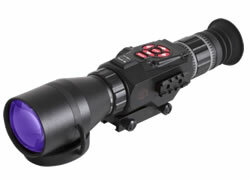 Modern night vision is simply the ideal viewing platform for hunting and viewing at night. In today’s market, you can buy night vision ranging from first generation (GEN I) products to some of the same cutting-edge gear our elite soldiers are using. The complete process of how night vision works is very mathematical and complex with many factors involved that allow the naked eye to see visible light in the dark. Night vision takes small electrical charges not detectable to the human eye (particles) and multiples them exponentially through an image intensifier to the point of a perceptible viewing level. Night vision represents the future of scope accuracy success and night viewing options and opportunities. Considered a useful tool for hikers, backpackers, and hunters alike, there is a model that will satisfy almost any need and budget requirement. Range finders are devices that will help the user measure the distance from the observer to a target. Range is determined by bouncing a laser beam off your target and calculating the time it takes for the beam to reach back. Range finders are very accurate, capable of giving the distance within one yard. Range finders are used for hunting, long range shooting and golfing. Some other considerations in optics accessories will help make sure that you have all the necessary accessories you may require. We offer a variety of optic accessories from scope shades and covers to help protect your investment to helpful sighting tools like bore guides and boresighters. If you need to mount your scope to a firearm, then you will want to look at scope mounts, bases and rings. Scope mounts and rings come in a variety of sizes and types including weaver style, dovetail, one-piece, two-piece, quick-release and many more. 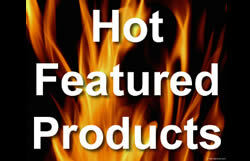 Our experts are here to help you find the right scope rings and scope bases to fit your needs. We offer a wide variety of dependable, high-performance optics and scopes for sale for all skill levels and performance demands. Our selection of optics is always expanding — our online inventory features some of the highest-rated optics available today. Buy scopes and other optics from many of the top brands on the market today, including Leupold, Nikon, Bushnell, NightForce, US Optics, Trijicon, Eotech, ATN, Flir and many more. If you have any questions regarding the optics and scopes for sale, as well as what would work best with your firearm, please send a secure message via our contact page or call our customer service line at 877-446-8370.